Procedures to ensure all needed tools and materials are present BEFORE the new employee arrives. Completion of required paperwork; I-9, Benefits, Compensation, etc. Key early Job Training and pairing the new person with a Mentor/Buddy to ensure the “informal training” as well as formal training is completed. 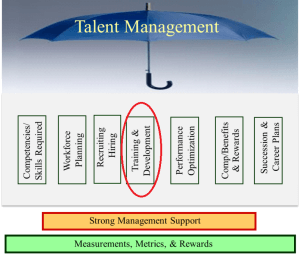 Most organizations lump Training and Development together. In most cases, that is effective as the objectives and delivery methods are very complimentary. However, understanding the differences and tweaking delivery methods will delivery overall stronger results from your work force. Training and development is a massive industry. Training Magazine reported that US industry would spend $61.8 Billion on training in 2014. Click here to get the report. This covers internal trainers, consultants and training companies. The scope of a blog is insufficient to cover Training and Development in any detail, however, there are certain requirements that must be followed to deliver benefits from your investment. Develop a process to determine which training to deliver to whom and how to deliver it. Many companies utilize some variation of the ADDIE Model (Analysis, Design, Development, Implementation, Evaluation). Determine the business objectives and outcomes of the training. WHY are you delivering the training and how will the company benefit? What is the optimal method to deliver the training? In-person instructor, training manuals, social media, Computer Assisted Training, On the Job Training, etc. How will you measure the success of the training and then improve the effectiveness for future training? Now that you have hired the best employee, on-boarded them and provided optimal training and development, it is now time to receive the benefits from this investment. Group50 focuses on Training and Development strategies for our clients so that companies can maximize the ROI on Training and Development. 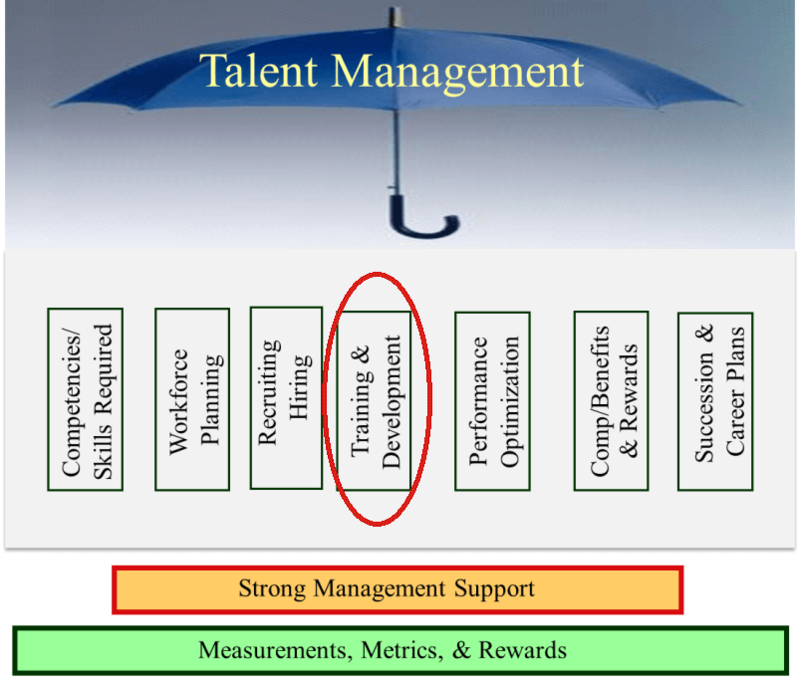 The next blog will discuss the tools and systems to optimize employee performance.